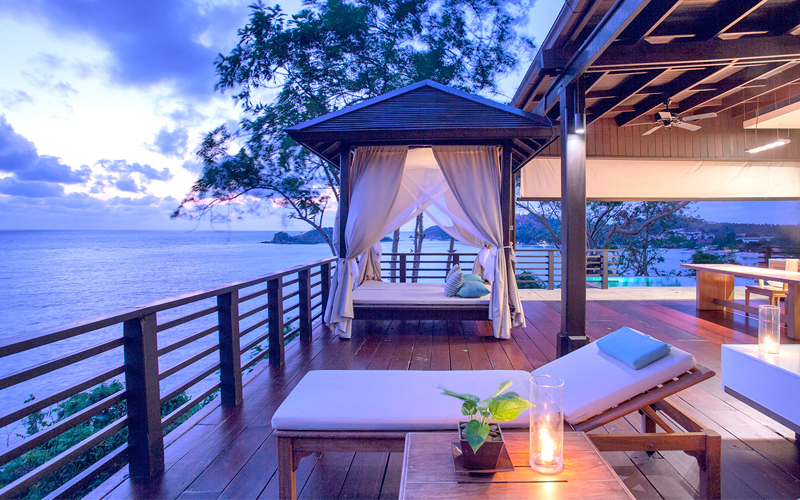 With so many beach destinations to choose from when deciding where to go on your Thailand honeymoon, we’ve made the search a little easier for you with our ultimate list of pool villas in Thailand for an utterly romantic getaway in your own private oasis. 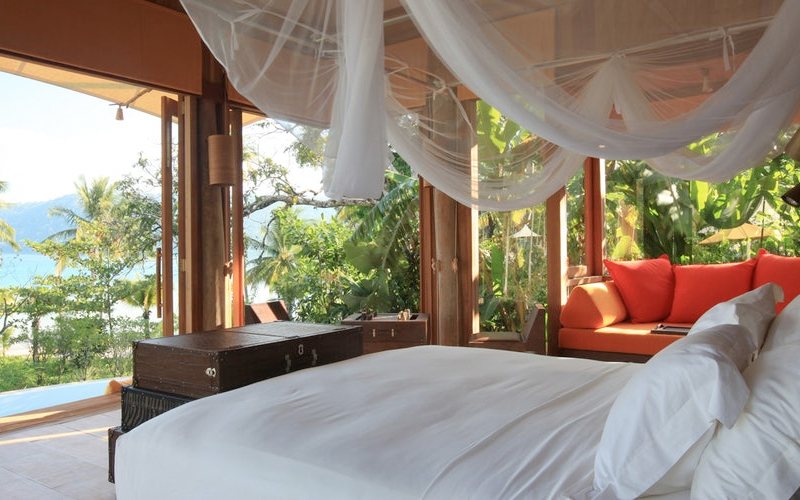 The stunning Beach Pool Villa Suite at Soneva Kiri is an ideal honeymoon hideaway with lush vegetation surrounding the villa for privacy and gorgeous views that you can wake up to each morning. 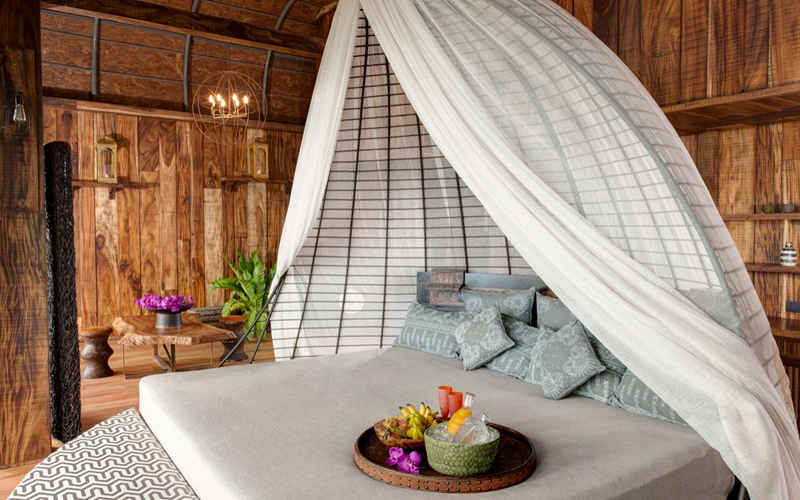 What better way is there than to spend your honeymoon on the unspoilt island of Koh Kood? 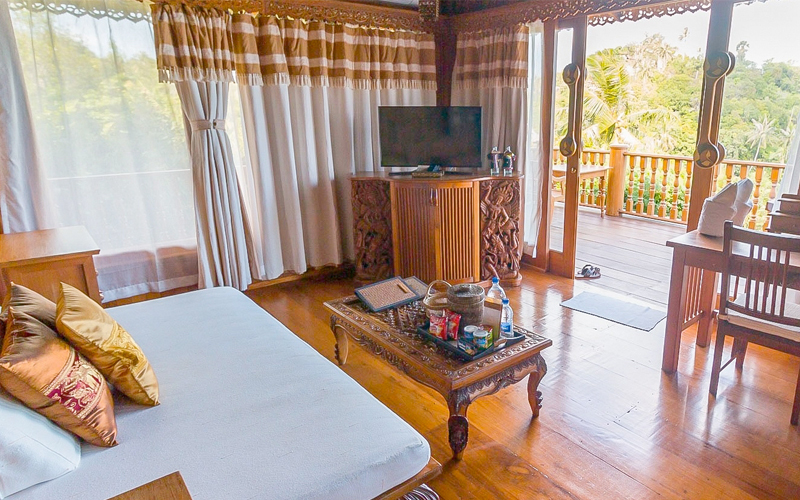 Serving as your tented paradise, this villa suite brings indoor living outside with an al fresco bathroom with tented roof, his and hers vanities and an oversized travel chest. 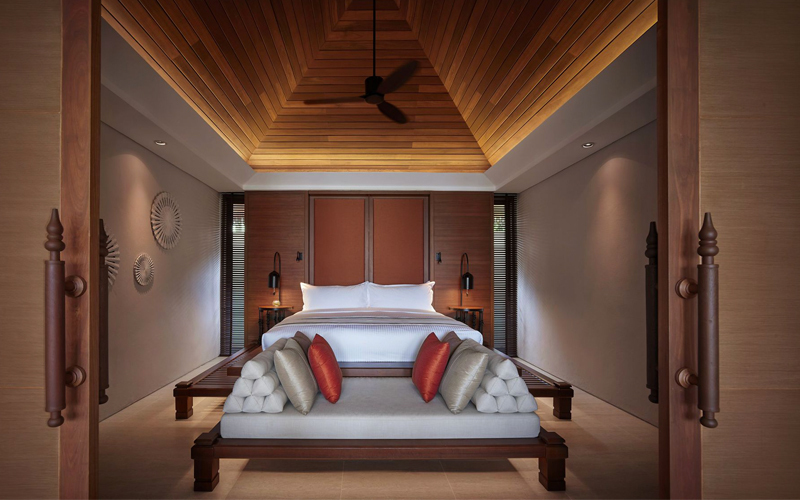 Breathtaking, panoramic vistas can be enjoyed in the Ultimate Pool Villa at The Ritz-Carlton Koh Samui. 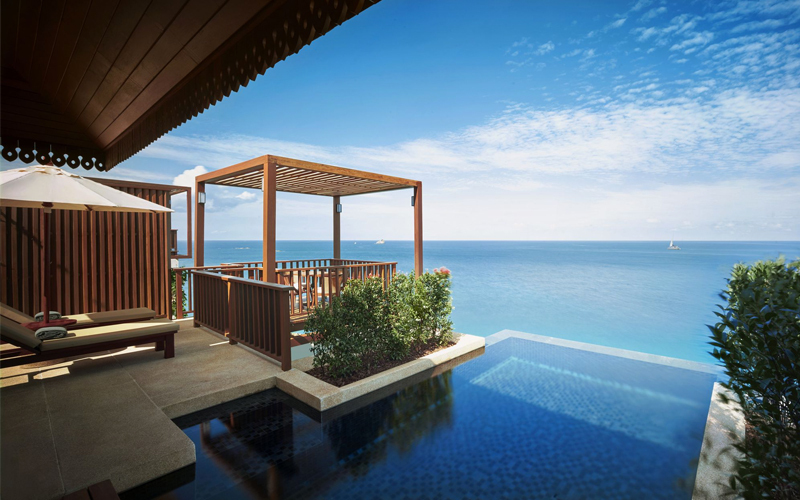 With its cliff top location and oversized terrace complete with private pool, you’ll both be tucked away in an oasis of privacy where you can enjoy in-room dining on your terrace beneath the stars. 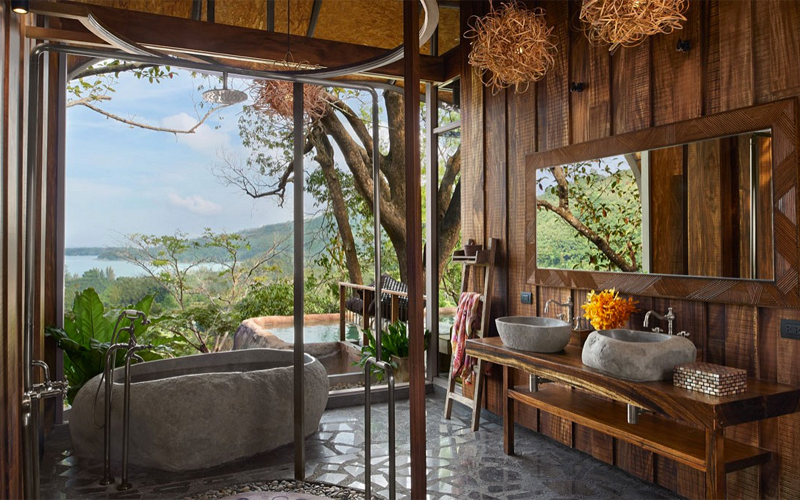 Some of the highlights of the villa include a spacious natural stone-designed bathroom with rainforest shower and separate bathtub. 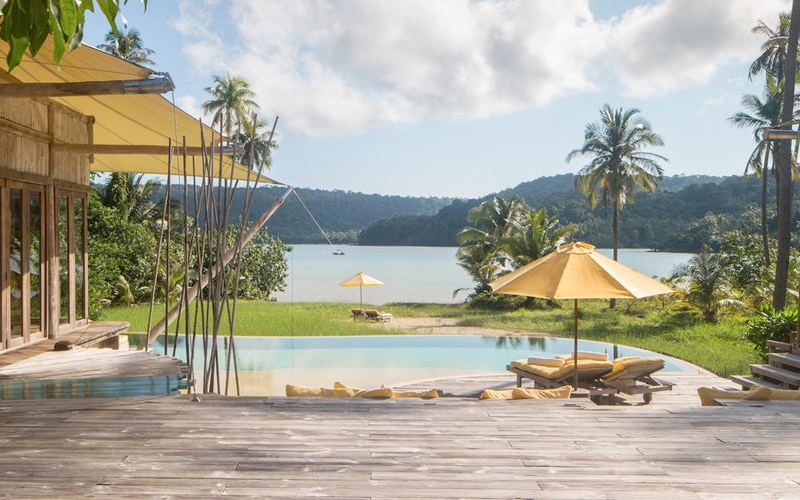 These gorgeous stand-alone villas at Santhiya Koh Phangan are located either close to the beachfront or on the cliff where gorgeous, panoramic ocean views can be enjoyed. 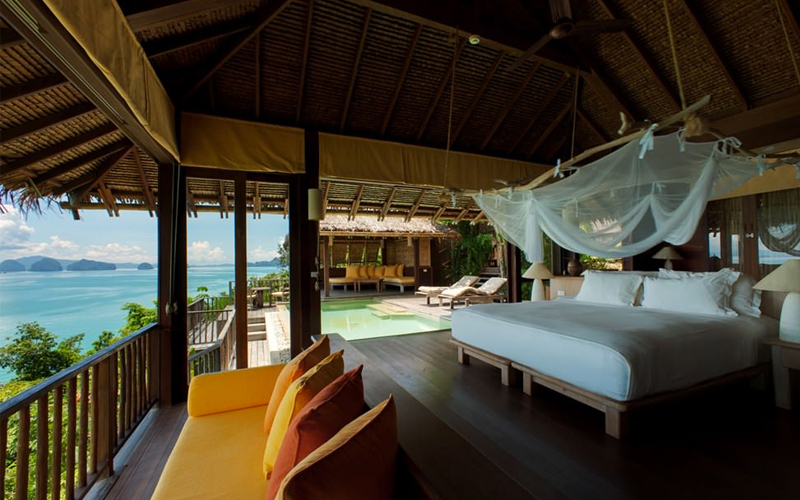 Each of the villas include a spacious bedroom and separate living area and outside honeymooners can make use of the romantic private pool. 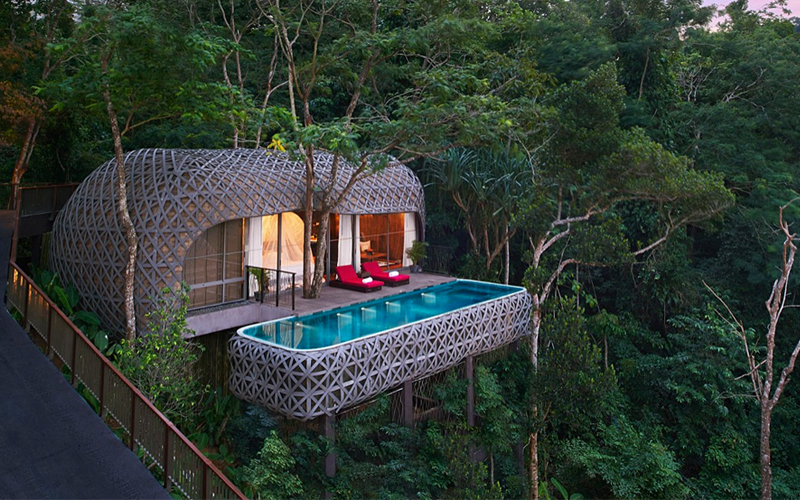 Surrounded by lush rainforest, the Bird’s Nest Pool Villas at Keemala Phuket are inspired by the Rung Nok Clan, who enjoyed an opulent lifestyle. 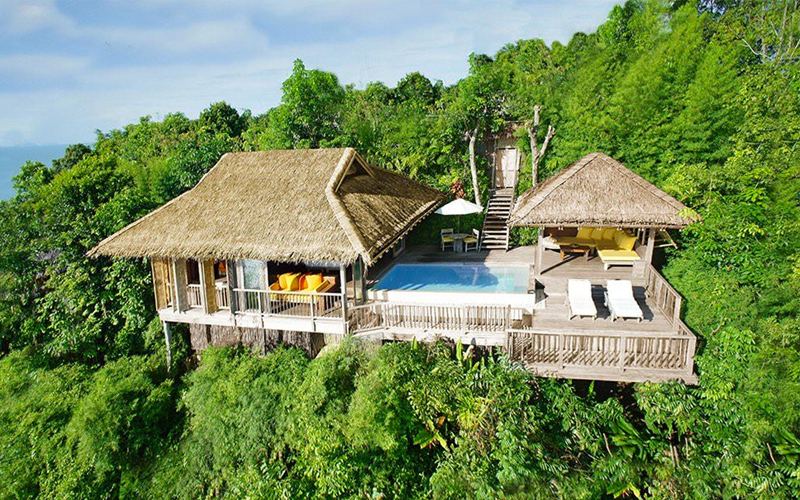 These stunning pool villas appear to rise from the rainforest from stilts and the stand-alone bathtub offers great views whilst you bathe. 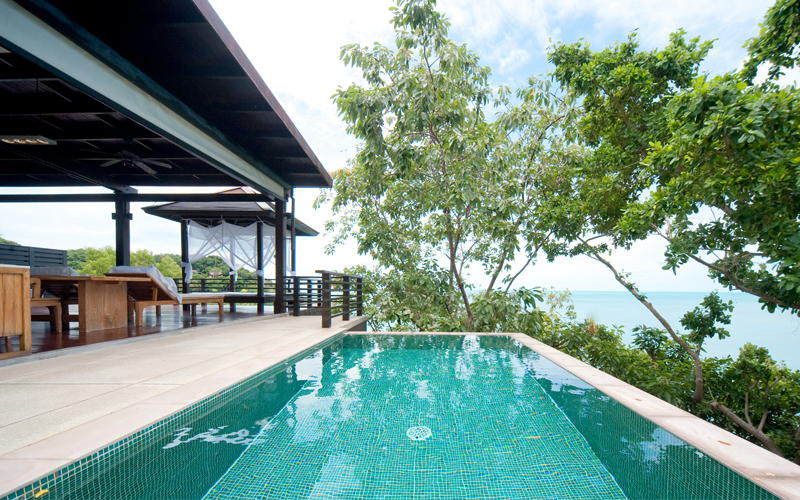 The stunning, private lap pool is the perfect way to cool off as well as enjoying the partial vistas of the sea, rainforest and resort. 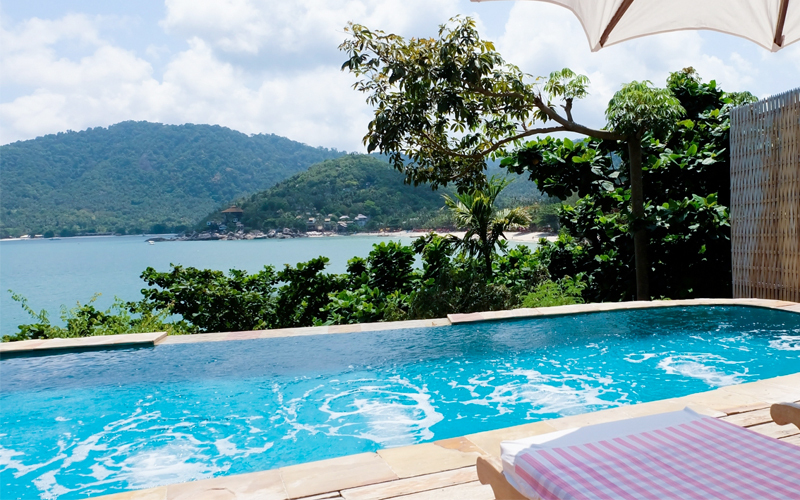 If you love a bathtub with a view, a stay in the Nang Gong Villa at Tongsai Bay will leave you feeling utterly relaxed with the signature bathtub ‘with a view’ boasting of panoramic sea views. 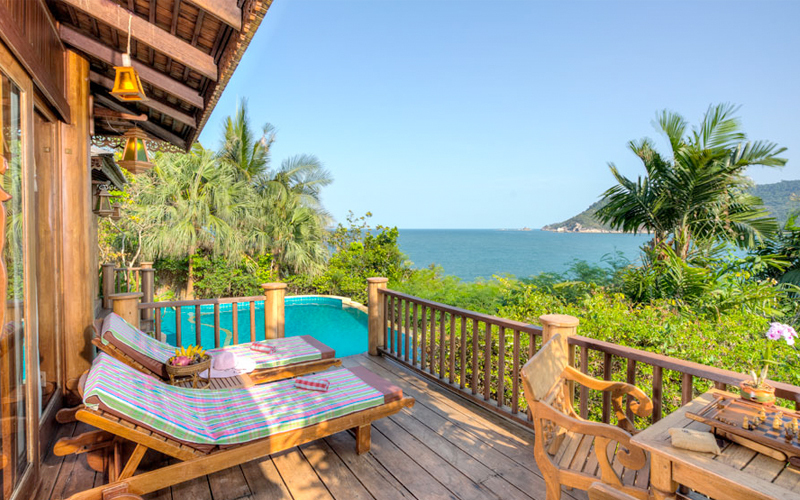 Located atop the hillside, these villas bring indoor living outside with a large terrace complete with 4-poster gazebo, loungers and a private pool overlooking the neighbouring Choengmon Bay. 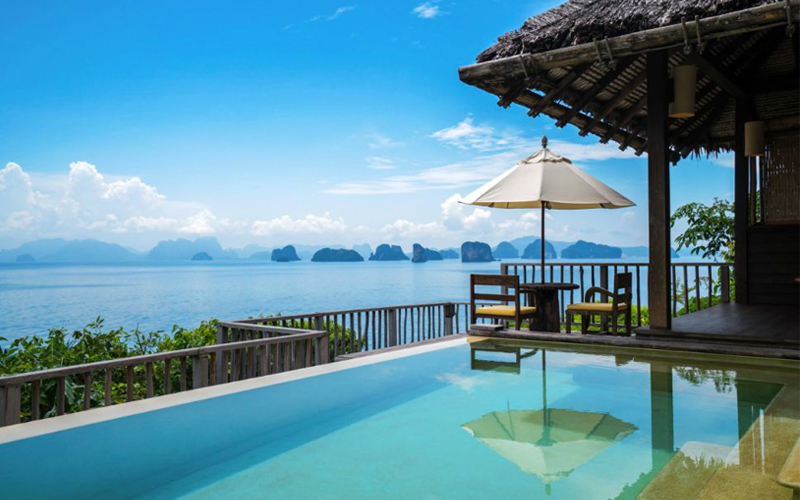 Jaw-dropping views of the iconic Phang Nga Bay, a collection of limestone cliffs and rock formations rising out from the sea, can be seen in the distance from the Ocean Panorama Pool Villa at Six Senses Yao Noi. 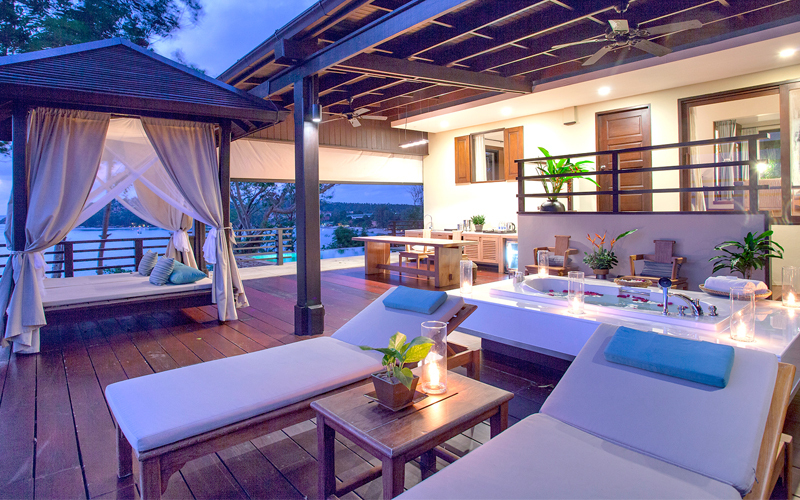 Along with the views, these villas offer a range of features such as a spacious, private terrace with an infinity-edge pool, sun loungers and table set for al fresco dining so you can enjoy romantic dinners in the comforts of your villa with gorgeous views during sunset. 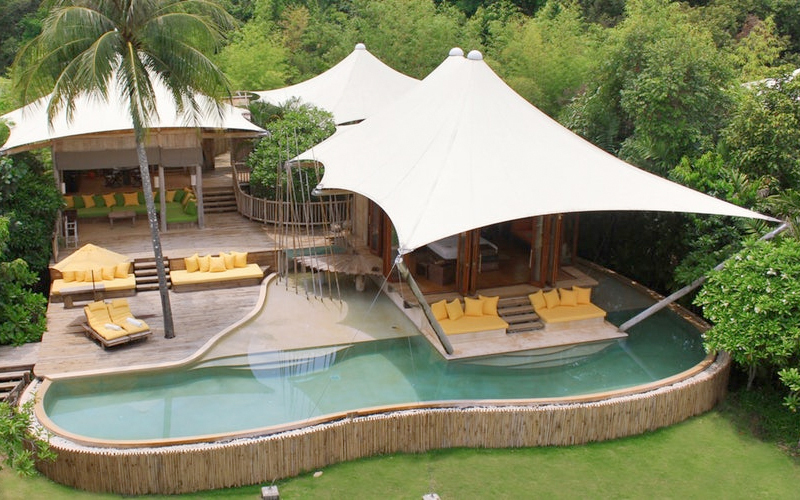 Searching for a Thailand honeymoon package? Contact us for a tailor made honeymoon package.